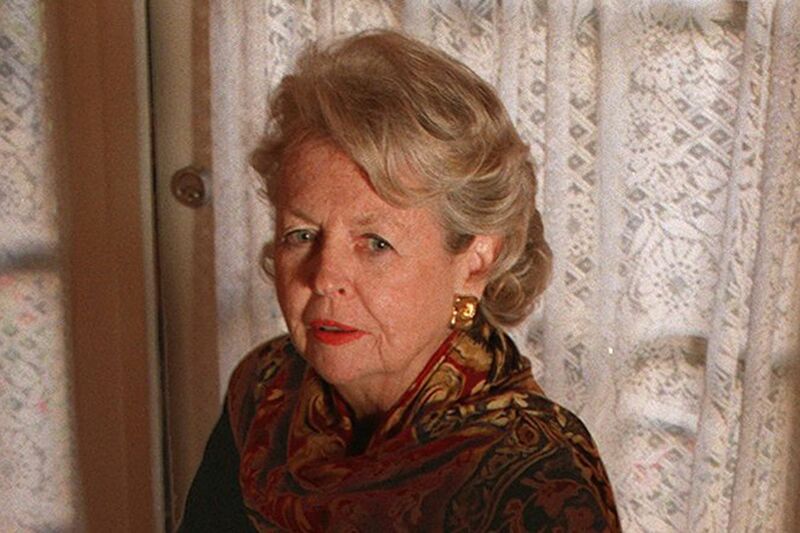 Kathleen Mulhern in a 1997 Inquirer photo. Kathleen Mulhern, 93, a Philadelphia entrepreneur who helped spark the city’s restaurant renaissance in 1974 by opening a tiny eatery that became famous as The Garden, died Saturday, Feb. 2, of the flu at Thomas Jefferson University Hospital. Starting with a bar and a few umbrella-topped tables in a garden just off 1617 Spruce St., Mrs. Mulhern, who had no previous experience in running a restaurant, came equipped only with a vision of what she wanted the eatery to be. That image was informed by trips she had taken to Europe, especially Paris, where she enjoyed wonderful meals, took mental notes, and then taught herself to cook once she arrived home. Mrs. Mulhern soon learned that she was on to something. People began flocking to The Garden, which expanded and began to draw the city’s wealthy and powerful. Kathleen Mulhern at The Garden. Adamson said The Garden was like a finishing school for the restaurant business, where the employees could learn about food, fine wine, and gracious service. “And the beautiful French wallpaper was incredible,” he said. Born and reared at 58th and Kingsessing Streets in Southwest Philadelphia, Mrs. Mulhern attended public schools. She learned culinary skills “by loving to eat and going to France,” Pappajohn said. Early in her career, she married Mike Mullane, but they soon divorced. They had no children. The Garden closed after a fire in 2000. Mrs. Mulhern was the proprietor of another restaurant, Harry’s Bar and Grill, which opened in 1985 at 22 S. 18th St. It closed in the mid-1990s. Mrs. Mulhern was a quiet philanthropist. She supported an elementary school in North Philadelphia and supplied pianos for a charter school so music students there could play. She supported the Philadelphia Museum of Art and helped back the move of the Barnes Museum from Merion to the Benjamin Franklin Parkway. She gave money to the Free Library of Philadelphia and the Athenaeum of Philadelphia, a special collections library. She was a member of the Franklin Inn Club and the Shakespeare Society of Philadelphia. “She was an ardent advocate of the city,” Pappajohn said. There were no survivors. No funeral is planned. or to Planned Parenthood Southeastern Pennsylvania via www.weareplannedparenthoodaction.org.